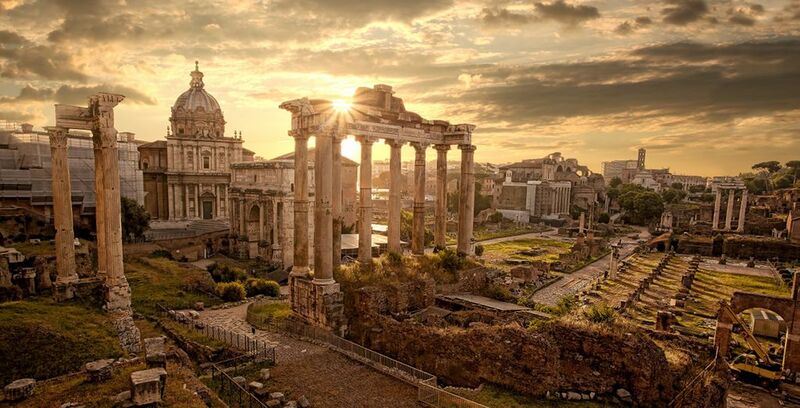 Hotels to Rome up to -70% off To take advantage of these offers, join now for free! 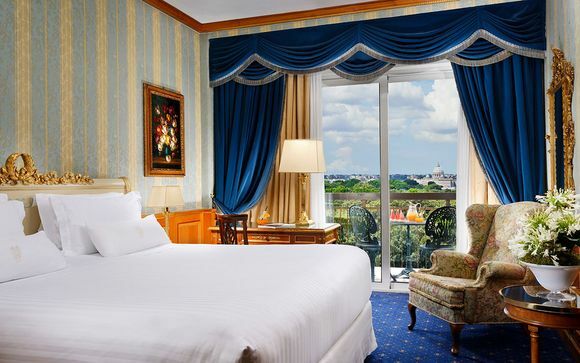 Looking for luxurious hotels in Rome? Book your hotel online ✅ at voyage-prive.co.uk and Enjoy Discounts up to -70% flight + hotels. Start your Trip Now. 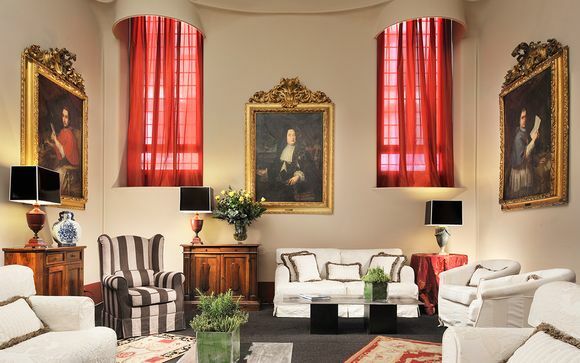 Below we discuss our best hotels in Rome that will suit every individual. From iconic buildings and boutique hotels to authentic Italian design, we've got it all. 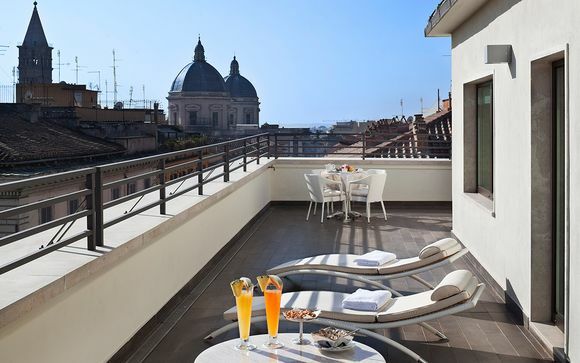 Offering a contemporary touch to one of Rome’s most historic districts, this wonderful hotel offers the perfect base to explore beautiful Rome. The hotel features an on-site gym, a restaurant and you get a complimentary bottle of wine on arrival. This stylish studio apartment is in a central location which allows a perfect base for exploring all of the best sights Rome has to offer. It's also filled with everything you need for a comfortable stay. The property includes an outdoor swimming pool, fitness centre, kitchenette, and much more. 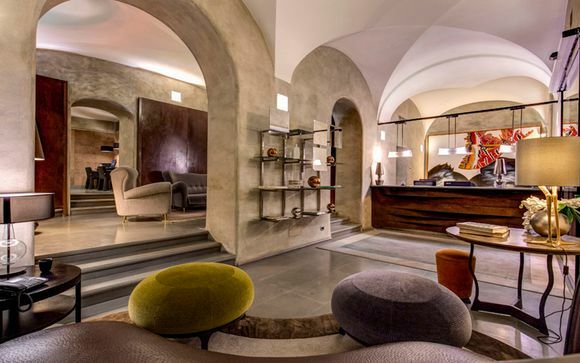 This beautiful 3-star boutique hotel is located in central Rome, perfect for seeing all the best spots. It features beautiful decor, a great location, comfortable rooms and free WiFi; a perfect stay for both couples and families. If you crave 5-star luxury, then this is the hotel for you. Experience everything luxurious in a beautiful location. This hotel offers an award-winning spa, a restaurant with stunning views of Rome, an on-site gym and sophisticated decor. This property is located at just 300 metres from the iconic Colosseum which makes it a prime location to base yourself. This wonderful hotel offers beautiful rooms in an ideal location. You even get a bottle of wine in your room to start your trip the right way. This is a contemporary 4-star hotel which offers everything you need for a relaxing stay, including a great location. Top features include an outdoor and indoor swimming pool, on-site spa, restaurant and tennis courts. This 5-star property is ideally located with easy access to Rome’s top sights and houses one of the best swimming pools in Rome. Guests can take advantage of pretty panoramic views over the city and dine in the on-site restaurant. This romantic hotel offers a great base for exploring alongside beautifully decorated rooms. With an on-site restaurant, free WiFi and quaint garden for relaxing, it’s the perfect spot for celebrating an anniversary. 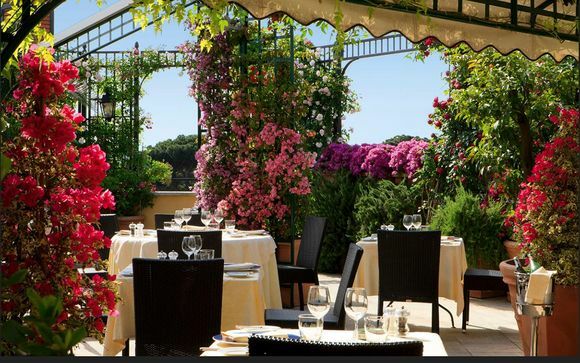 This beautiful hotel is located next to Rome's Villa Ada Park. It offers lots of great features to make for a comfortable stay including an on-site restaurant, free WiFi and a complimentary bottle of wine on arrival. Located just steps from the beautiful Trevi Fountain, this 4-star hotel offers a brilliant location, on-site restaurant and bar and free WiFi. It's the perfect spot for a romantic escape for two. What services will you find in our hotels in Rome? 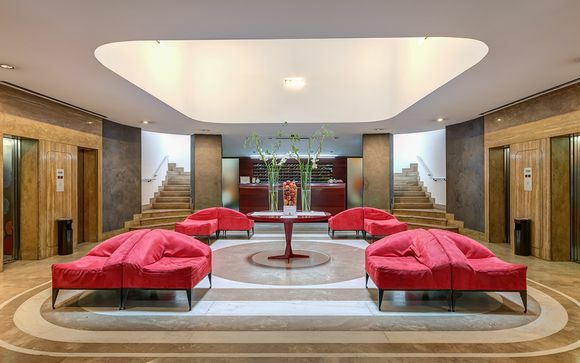 Our Rome hotels include a wide range of services that will meet all your needs. Rome is bursting with fantastic activities for everyone. 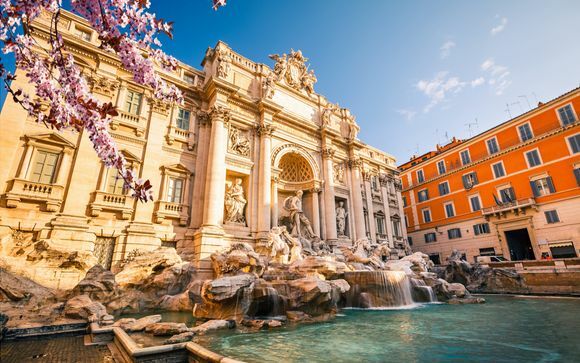 Whether it’s a romantic walk amongst the iconic sights such as the Trevi Fountain or experiencing the jaw-dropping Colosseum, Voyage Prive offers a range of additional add-ons that can transform your trip. 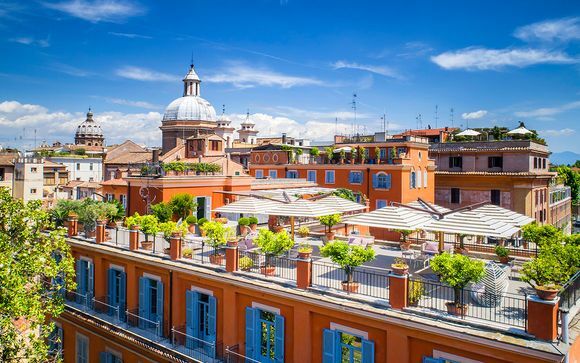 From boutique hotels, hotels with fabulous swimming pools, to iconic 5-star hotels with panoramic views of Rome, our range of hotels in Rome has something to suit absolutely every individual. 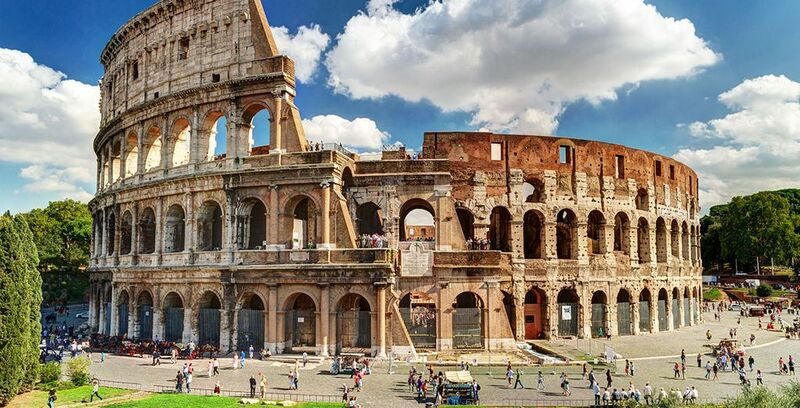 Current offers include stays at the brilliant Hotel di Borgia near the Colosseum and the classic Kolbe hotel which is a renovated monastery steeped in history. Rome: What should we bring for a hotel stay? Your best hotel in Rome: how to get there and make your booking? Getting to Rome: It’s easy to get to Rome via air travel. Flights leave the UK regularly every day. With our inclusive hotel packages, we include a flight to Rome with a scheduled or no-frills airline. You can even opt to add in transfers to your hotel to make your stay even easier. Or, you can drive to Rome from the UK by getting the ferry to France and driving through to Rome. Flight time from the UK to Rome is in the region of 2 hours and 30 minutes. to take advantage of exclusive offers dedicated to members only on all luxury hotels in Rome. Rome is a city bursting with culture and beauty. It’s a glorious architectural dream - a living masterpiece. 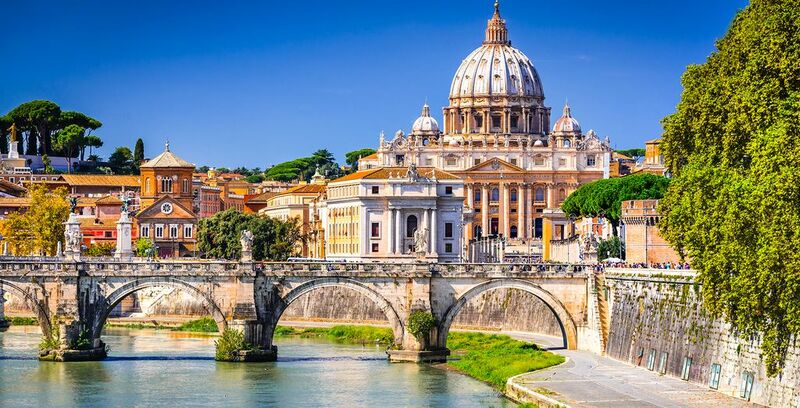 Start your journey at the Vatican City, home to the largest church in the world - St. Peter's Basilica - the Vatican Museum and the Sistine Chapel which is the shining star of the Italian Renaissance. Then make your way to the famous Colosseum and Trevi Fountain, and enjoy a gelato on the Spanish steps. 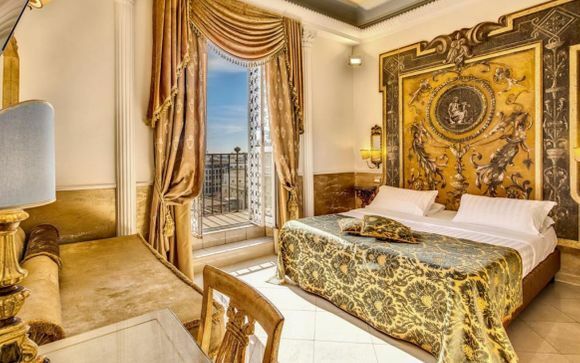 Whether you want to be in the heart of the action, on the steps of the Trevi Fountain or placed in a quieter side of Rome, then our selections of hotels will find you the perfect spot to base yourself. Rome is awash with priceless treasures. Renaissance frescoes and Byzantine mosaics dazzle in the city's art-rich churches, Ancient statues adorn world-class museums, medieval piazzas surround the iconic city. Simply walk in any direction and you’ll find a world full of culture, beauty and cuisine. Discover all our offers to Rome : Sun holidays, last minute deals, holidays, weekends, city break, travel guide..